It is simple you go to Cathal Grant you get a drug if you need it or not, and here is how he gets away with this, how long will it be before Cathal Grant cause something like this to happen? Another psychiatric drug-related incident. This time, though, there’s no guesswork about what caused the violent behavior. Six words sum up another tragic story. Unfortunately, Hill’s story isn’t new and he joins a long list of school shooters under the influence of psychiatric drugs. At least 31 school shootings and/or school-related acts of violence have been committed by those taking or withdrawing from psychiatric drugs, resulting in 162 wounded and 72 killed. And these numbers do not include the suspected shooters, whose psychiatric drug use was never made public. Equally important, though, is that there is no guesswork when it comes to the dangerous adverse effects associated with psychiatric drugs. Twenty-two international drug regulatory warnings on psychiatric drugs have been issued, citing effects of mania, hostility, violence and even homicidal ideation. Adding legitimacy to these warnings is the Food and Drug Administration’s (FDA’s), MedWatch system, which collects real-life data of those who experienced the serious adverse side effects of psychiatric drugs. 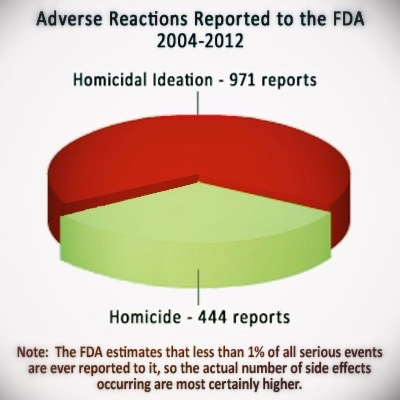 Between 2004-2012, there were over 14,600 reports of psychiatric drugs causing violent side effects. Homicidal ideation/homicide cases represent more than 1,400 reports, over 3,200 cases of mania and more than 8,200 cases of aggression. And the FDA admits these data reflect less than one percent of the actual number of those experiencing adverse side effects. Clearly, Hill was experiencing some kind of adverse psychiatric drug melt-down. The only question that remains is what drugs Hill was prescribed and which drugs had he stopped taking. This is deadly important information. What patients and their families fail to understand, and often are not fully informed of, is that not only are there serious adverse reactions while taking psychiatric drugs, there also are serious and persistent withdrawal effects which can last months, even years after someone stops taking them. The reported symptoms that come from the withdrawal from psychiatric drugs are disturbed mood, emotional liability, irritability and poor stress tolerance, aggressiveness and suicidal impulsivity, to name a few. 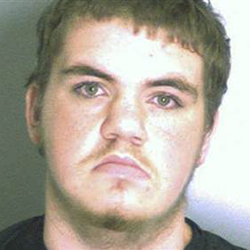 Michael Hill (above) appears to be a textbook case of modern-day psychiatric diagnosing and drugging. Having seen this progressive drugging scenario play out too many times before, it isn’t difficult to put together a picture of Hill’s psychiatric drug life—Ritalin in grade school, antidepressants throughout middle-school then move into antipsychotics by High School. How many times Hill’s “medications” were tweaked (increased) or how many different mind-altering drugs were part of a psychiatric drug cocktail still is to be determined. What is abundantly clear, though, is that serious mind-altering psychiatric drugs were pervasive throughout Hill’s life. While thanks can be given that there were no injuries or deaths associated with this psychiatric drug-related incident, the continuing tragedy is that those who have the power to thoroughly investigate the connection between psychiatric drugs and violence refuse to act. In my opinion Dr. Mercola says Let’s End the Prescription Drug Death Epidemic, but Cathal Grant is a pro drug company doctor accepting $151,474.00 since 2010 in payments from the drug companies to push their drugs. In our experience Cathal Grant is not a pro patient doctor, because he does not want to cure his patient, he actuall wants the money from the office visits, after the hooks you on the drug companies drugs, he is paid to push. Previous PostIn my opinion asks the question: Why Must Everything Be a Medical Condition? ADHD prescriptions soar 50% in six years, In Cathal Grant’s case he getd patients hooked on these drugs for nothing more than he own personal gains and his payment by the drug companies to increse thier profits by prescribing these drug if you need them or not.Next PostIn my opinion a report Cathal Grant would not want you to read: New Concerns Arise from SSRI Side Effects, Cathal Grant wants to prescribe you these drugs if you need them or not, just for his own profit and the money he is paid by the drug companies to get you hooked on their drugs.